Dr. Sulak’s free healthcare provider guide. A succinct overview of the clinical information you’ll need to safely care for patients who elect to use medical cannabis. Dr. Sulak's Free Health Provider Guide. Please note this course is not CME accredited. See below for Dr. Sulak’s online CME courses. 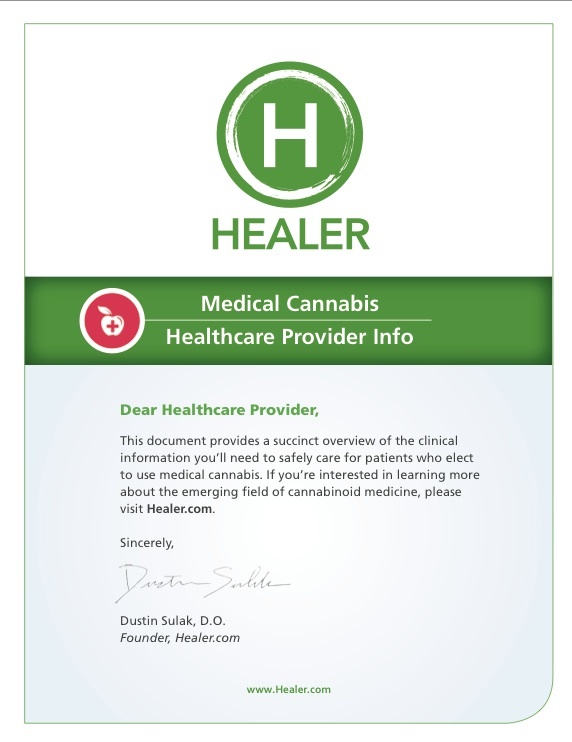 Dr. Sulak’s Healer medical cannabis training and certification for allied health professionals, industry professionals and consumers. Gain authoritative knowledge in cannabis basics, pharmacology, and dosage methodologies. Dr. Sulak’s goal is to empower you with this specialized knowledge so you feel more confident in your role helping patients with proven protocols based on science and his clinical experience. The curriculum includes videos, guides, and quizzes, an online community and certification. TMCI provides online medical education for healthcare professionals who want to learn about medical cannabis and its potential clinical application. Our science-based, accredited courses help professionals deliver quality care and address patient questions. Healer receives affiliate referral fees from TMCI sales. Healer only promotes products Dr. Sulak recommends. 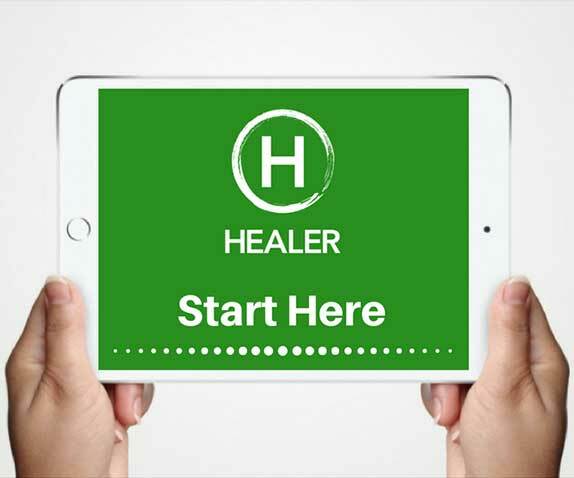 Healer provides medical practices with access to our industry leading cannabis educational content for patients. Healer’s education solutions include dosage guides, shopping tutorials and informative videos. 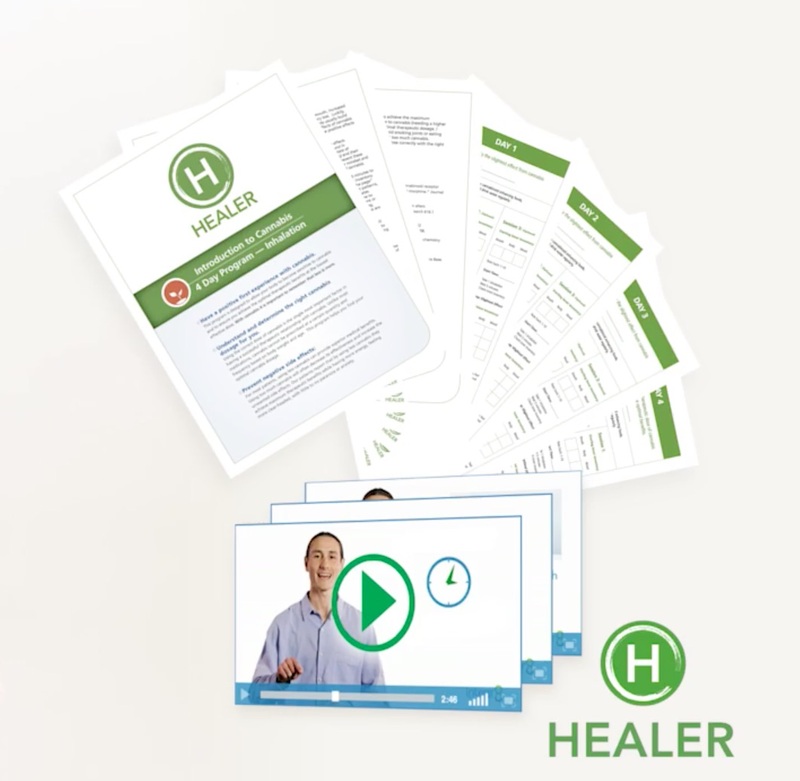 Let Healer fulfill your patients’ education needs and ensure your compliance with state educational regulations. Contact us for turn key patient education created by Dr. Dustin Sulak.